You’ve got a busy schedule, but you don’t have to starve! These great dine-on-the-go finds will help you get in a good meal without missing a beat. Everyone loves macaroni and cheese, but there’s not always time to gather around the table. 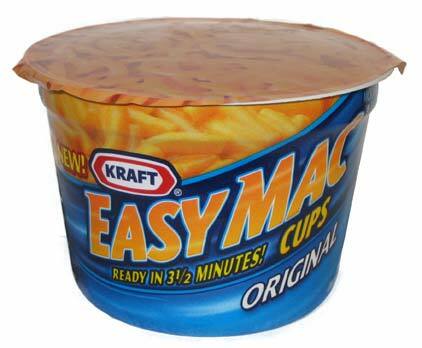 Kraft Easy Mac Cups are easy to fix — just add a little water and pop them in the microwave — and can go anywhere with you, thanks to the disposable container! Sitting down to a hot bowl of soup makes you feel at home, even when you’re not! 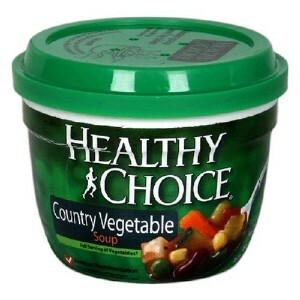 These microwavable bowls from Healthy Choice come in 12 great varieties and can be stored at room temperature, so they’re perfect to keep in your bag or a desk drawer until you’re ready for lunch. Pop them in the microwave, enjoy, and then toss the disposable bowl and lid. There’s just not time to sit down with a bowl of cereal every morning. 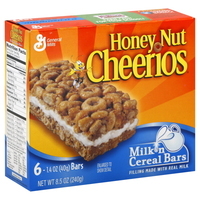 Thanks to Milk n Cereal Bars, by General Mills, we can still have our milk and cereal, even if it’s on the go! These gooey cereal bars come in three flavors from cereals you love: Honey Nut Cheerios, Cocoa Puffs and Cinnamon Toast Crunch. They all have a delicious milky layer in the middle and are packed with the same nutritional value you’d find in a bowl of cereal. 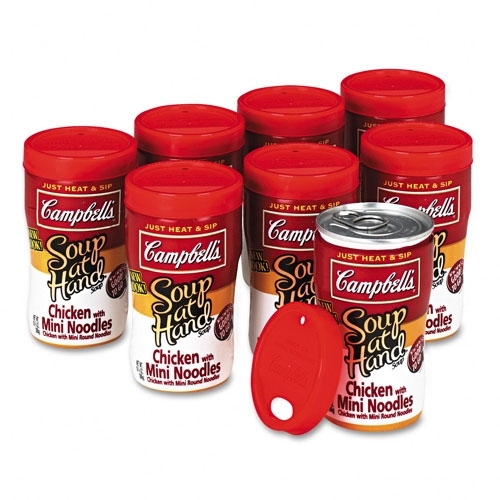 These delicious soups from Campbell’s come in 12 great varieties, and you can take them anywhere you can take a drink! Just remove the metal top, microwave as directed, and replace the plastic lid that’s made for sipping. 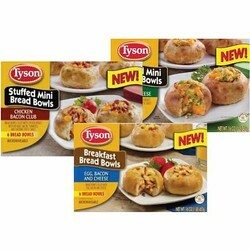 Tyson Foods makes a whole line of portable meals, perfect for any family on the go. Their bread bowl creations are perfect for any meal — they have egg-based options for breakfast and savory chicken for lunch or dinner. Since the bread is the bowl, there’s no mess and no dishes to clean up after. They also offer mini chicken sandwiches, which are just the right size for a snack on the go. They can be found in your grocer’s freezer and only need a minute or two in the microwave to prepare. Everyone loves to sit down to a hot plate of French toast every morning, but not everyone has time for that — or the time to make it! 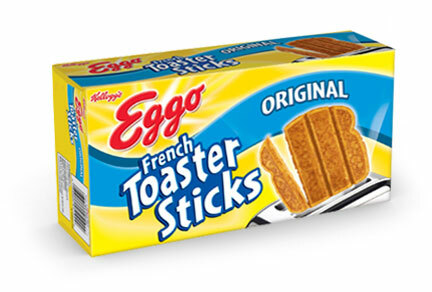 Instead, try Eggo French Toaster Sticks. They’re pieces of French toast that can be popped in your toaster and are ready in minutes. To make them even better, they split into strips, making them easy to eat on the go. Nothing’s better than fresh fruit, but it’s not always convenient to peel a grapefruit, and you can’t always find berries in season. 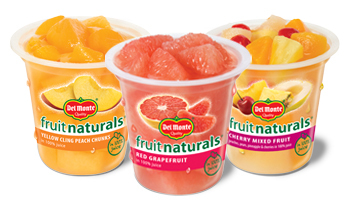 There’s no need to worry about that with Del Monte — they pick fruit at its freshest; peel, slice and prepare it; and then pack it in cups that are just the right size for snacking. You do have to keep it cool, but all you need is a fork or spoon to enjoy this fresh fruit anywhere. 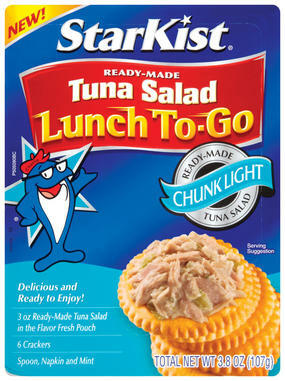 Tuna salad makes a delicious lunch, but it’s not great for on-the-go unless you’ve got a way to keep it cool. You don’t have to worry about that when you’ve got StarKist Tuna Salad Lunch To-Go. This readymade tuna salad doesn’t need to be kept cold, and it comes with crackers, a spoon for spreading, a napkin and a mint. Just bring along a drink and you’re ready for lunch, anytime, anywhere! Your kids will love these squeezable pouches of applesauce, and you’ll be surprised at how much you love them too! 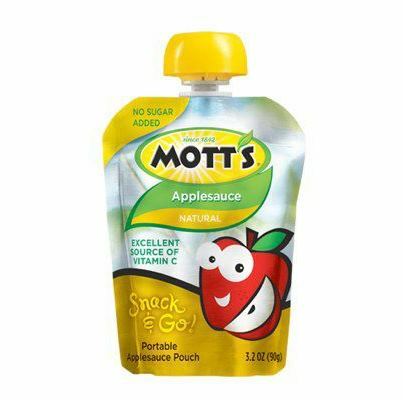 They’re just Mott’s delicious, natural, no-sugar-added applesauce, placed into a portable, squeezable packet. It’s perfect — applesauce without the need for a bowl or a spoon! What can’t you dip in peanut butter? 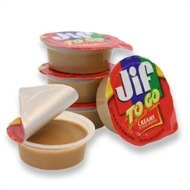 Jif To Go places delicious Jif peanut butter in portable packets that are great for traveling. When you’re hungry, just rip one open and use it to dip pretzels, carrots, apples, celery and more — you can even eat it by itself! It comes in original flavor, as well as natural and chocolate. Looking for portable food? Try fruit! It’s naturally healthy and always good for you!